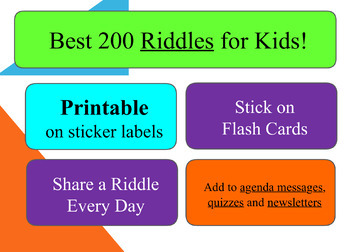 200 Riddles for every day of the school year. 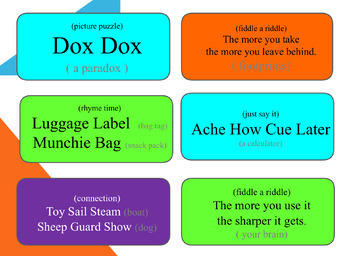 Print labels to make flash cards or simply add riddles to agenda messages, newsletters and quizzes. Your students will want to share them with parents and friends every day!